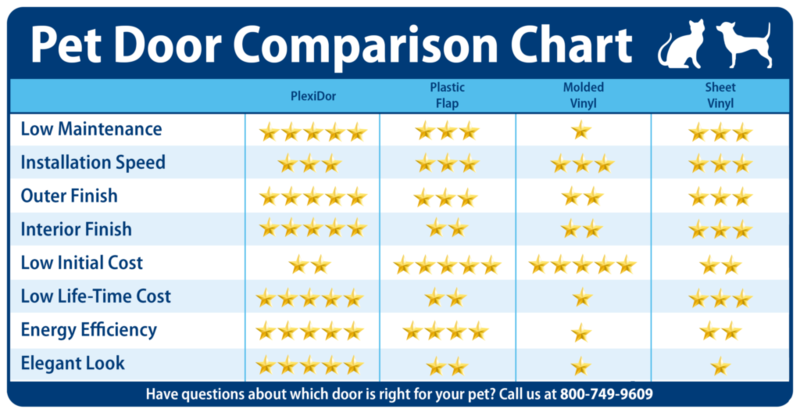 What is the difference between a single and a double flap dog door? There are several differences between a single and a double flap door. A single flap door has one flap that usually hangs on the inside of the door. Most single flap doors are cheaper than double flaps, they have less insulation than a double flap – but may also be easier for a pet to open. A double flap door has two flaps; one on the inside and one of the outside of the house. These doors insulate better, but some pets require more training than on a single flap door – timid dogs may be reluctant to push hard enough to get through.